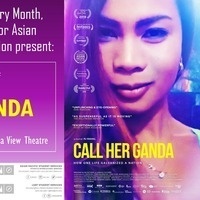 To commemorate LGBT History month, LGBT Student Services, Asian Pacific Student Services, the Center for Asian Business, and Campus Recreation present a screening of Call Her Ganda. Call Her Ganda follows the brutal murder case of Filipino transgender woman Jennifer Laude by a U.S. Marine, and the obstacles faced in the pursuit of justice by three women intimately invested in the case. An activist attorney (Virgie Suarez), a transgender journalist (Meredith Talusan) and Jennifer’s mother (Julita "Nanay" Laude) galvanize a political uprising, seeking justice and taking on hardened histories of U.S. imperialism in the Philippines.